The Lincoln Navigator is a massive seven-seater that’s been redesigned for 2018 to be the brand’s new flagship model. With a more luxurious look and powerful presence, the new Navigator aims to change its long-running reputation as a boat-on-wheels. 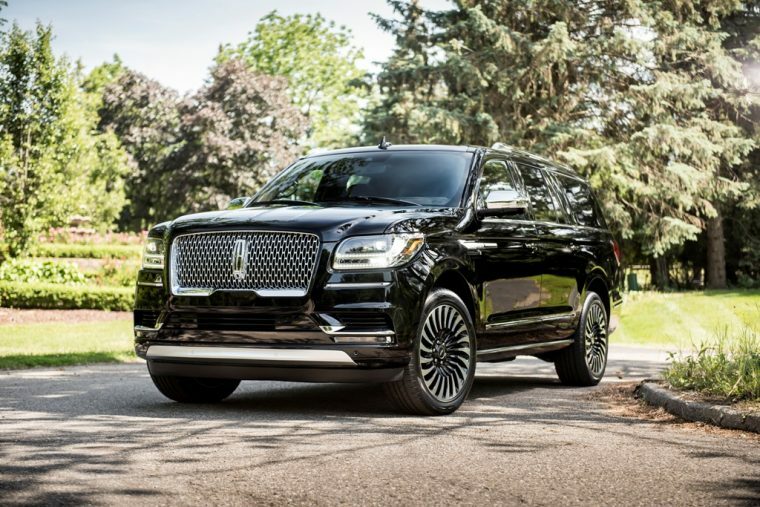 What’s New for the 2018 Lincoln Navigator? The humongous Navigator is all-new for 2018, having undergone a total redesign for its fourth generation. 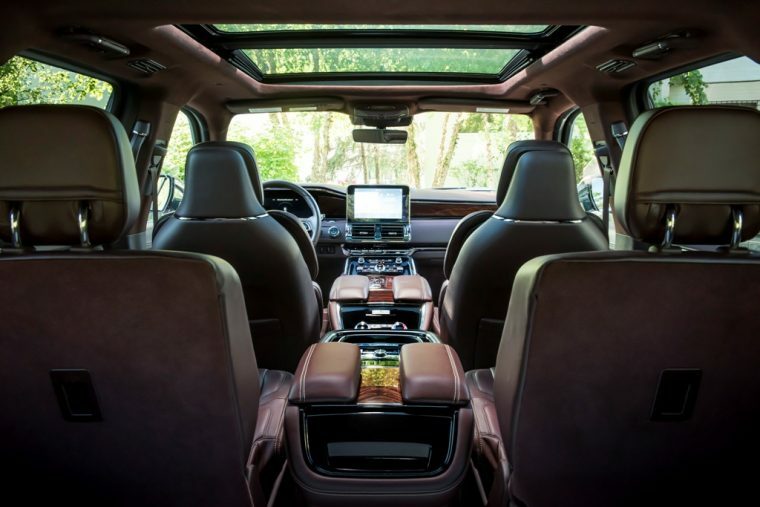 As introduced at the New York International Auto Show earlier this year, the new Navigator is lighter, more spacious, and more luxurious. 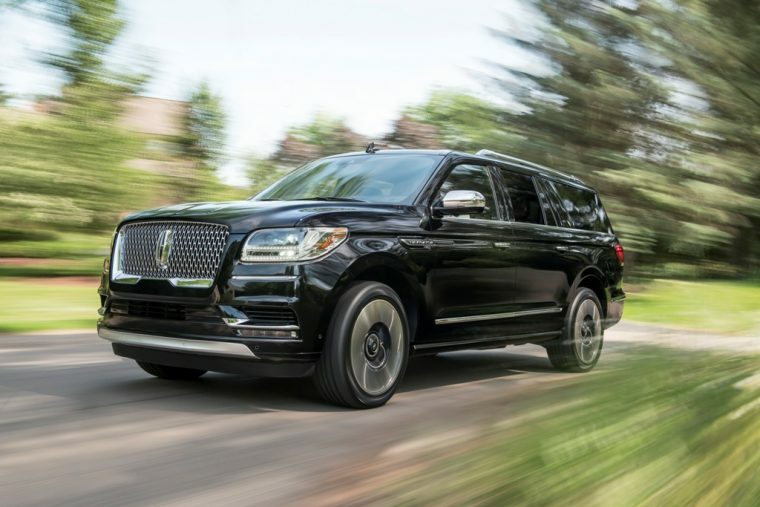 Due to new aluminum body parts, this Navigator is hundreds of pounds lighter, which gives it better fuel efficiency and performance with its new 3.5-liter V6 engine. The interior of the Navigator is seeing a myriad of changes, too, like a new instrument cluster and more standard features. You’re also sure to love the new top-of-the-line Black Label series of trims on the Navigator, which enhance its opulence even further. The new look of the redesigned 2018 Navigator is a vast improvement. Its squared-off front end and flat fascia resemble some of Ford’s bigger SUVS, but with more elegance. The wraparound headlights and LED illumination make it stand out at night, while its refined exterior colors and firm, rigid body lines emphasize its size during the day. There are plenty of high-end touches on its exterior, like chrome accents, with more options that can be added at higher trims. The Navigator also comes in an L variant with an extended-length body. The 2018 Navigator receives a new engine for 2018: a 3.5-liter twin-turbocharged V6 that’s paired to a 10-speed Selectshift Automatic with Paddle Activation. Now, the Navigator is even strong enough to match the Ford F-150 SVT Raptor, earning 450 horsepower @5000 rpm and 510 lb-ft @3500 rpm. This muscle also contributes to its towing capacity, which is rated at 8,700 pounds maximum. That’s certainly more than enough strength to carry your family and luggage without any lag. The Navigator has been designed for powerful performance, not efficiency, but considering the bulk of the SUV, its fuel economy rates actually aren’t terrible. In fact, the EPA estimates that the Navigator gets around 16 mpg in the city and 23 mpg on the highway. Considering the fuel tank capacity is 23 gallons, the Navigator can travel quite a distance before having to fill up. Obviously, the cabin of the Navigator is a work of art. 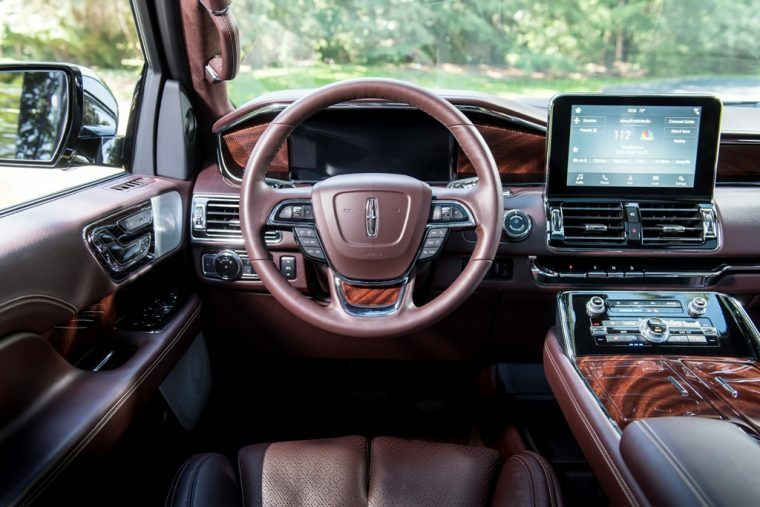 Now undeniably the most luxurious interior in Lincoln’s lineup—especially when outfitted with one of the top-of-the-line Black Label themes—the Navigator bears the finest upholstery and dashboard touches in its segment. 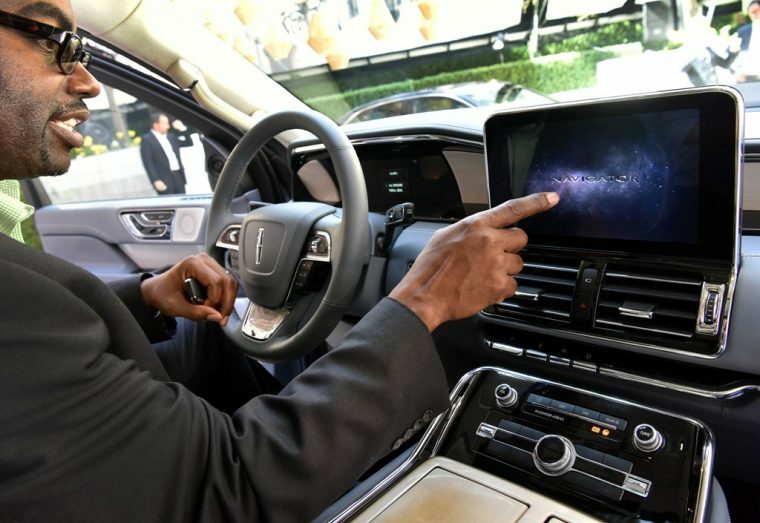 It’s equally high-tech, particularly due to the new 12-inch controls cluster/screen. Center consoles in the second and third rows also give passengers ways to stay plugged in. 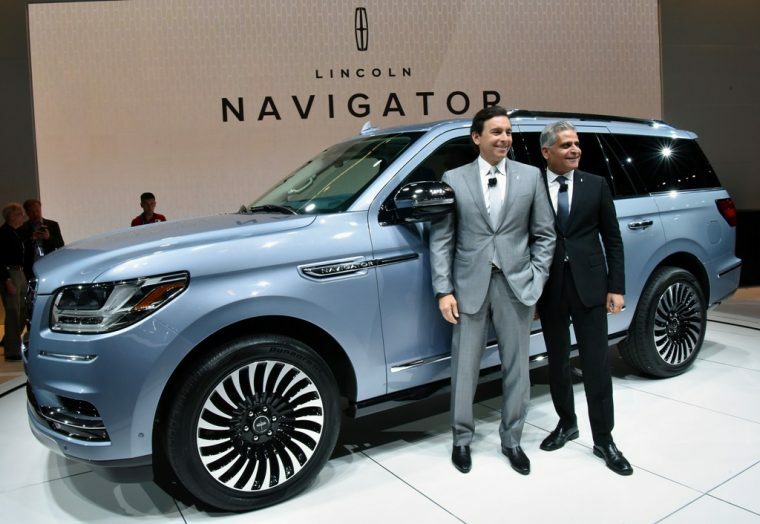 As the 2018 Navigator has been redesigned from the ground up, it’s due to be evaluated by the Insurance Institute for Highway Safety and the National Highway Traffic Safety Administration, but neither group has yet released their results (as of December). What we do know, at least, is that the Navigator has an array of protective features to help avoid or lessen the damage of a collision, as well as optional innovative assistance features to help the driver retain control of the wheel.